Prezentare (Vocal Collection). This beautiful new volume in The Vocal Library is a large resource for classical singers of 63 songs for holiday services and events, designed for a lifetime of use. 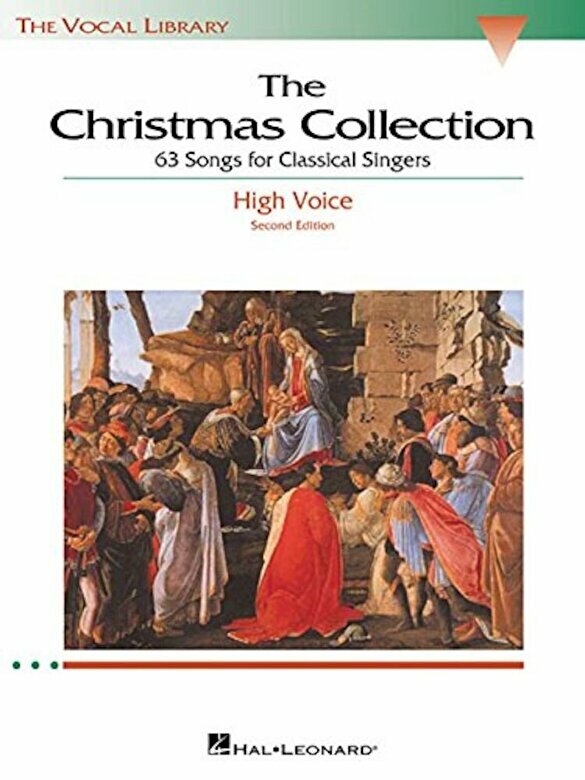 Contents include 26 Art Songs/Traditional Songs by composers such as Dello Joio, Bach, Debussy, Wolf, Niles, and including classics such as ``Gesu Bambino,`` ``O Holy Night,`` and ``The Virgin's Slumber Song.`` This section also includes the complete song cycle Weihnachtslieder by Peter Cornelius. The 19 Christmas carols include 5 Alfred Burt carols, arrangements by John Jacob Niles and Harry T. Burleigh, and 14 arrangements by Richard Walters. There are 8 popular Christmas standards in arrangements especially for singers: ``The Christmas Song,`` ``The Christmas Waltz,`` ``Do You Hear What I Hear?,`` ``I Heard the Bells on Christmas Day,`` ``I'll Be Home for Christmas,`` ``The Most Wonderful Time of the Year,`` ``Silver Bells,`` ``White Christmas.`` The same song list appears in the High Voice and Low Voice volumes. The collection includes 3 duets.